In the provocatively titled piece “Ban the Bomb or Bomb the Ban” Brad Roberts adopts a highly defensive attitude towards the Humanitarian Initiative and the resulting Nuclear Ban Treaty. This is in line with other negative reactions by the nuclear armed states and their allies. Paradoxically, their message that the Ban Treaty is akin to the Briand-Kellogg Pact, the treaty that banned war and had no (or not much) effect, is belied by these aggressive critiques. If the Ban Treaty is really ‘in limbo’, as Roberts wrongly claims, then why bother write about it? Similarly, why did the US coerce its NATO allies not to engage in the Ban Treaty negotiations in October 2016 (as we know from a leaked US letter) if the treaty won’t have any effect? Why try to weaken it? In reality, the US was afraid that some allies would participate and undermine NATO as a nuclear alliance. The Netherlands – a NATO member state – did participate, which could be considered a failure of these efforts. Nowadays, the US is concerned that some of its allies will sign and ratify the treaty. The US nuclear priesthood, of which Brad Roberts (who works in one of the nuclear labs himself) is a quintessential member, may wish that none of the US’ allies signs the treaty, and that it never enters into force. Just as they wish that nuclear armed states are never attacked thanks to nuclear deterrence. However, they have a weak track-record in maintaining that nuclear deterrence always works. There are several historic examples of nuclear armed states (Israel, India, the UK) that have been attacked by non-nuclear or nuclear armed states, at times more than once. These are categorical failures of nuclear deterrence theory and practice. Believing in the effectiveness of nuclear deterrence is just that: a belief or even a religion (nuclearism as Robert Lifton called it). In my view, basing a state’s or alliance’s defence policy solely on a belief does not fit an ‘ethic of responsibility’. The nuclear priesthood also has a poor track-record of speculating on the effectiveness of the ban advocates. The nuclear weapons establishment had not expected that the Humanitarian Initiative would be a success let alone lead to an international treaty that would declare nuclear weapons illegal. They underestimated the power (as defined by Hannah Arendt) of the Ban Treaty advocates. Now that the treaty exists they are making a similar mistake by wishing that it will not have any effect. Keep wishing! Despite only opening for signature in September 2017 already more than 55 states have signed the Ban Treaty. More than 120 states negotiated it and a similar number are part of nuclear weapon free zones. Accordingly, there is every reason to believe that another 50 will sign in the coming months and years. Overall, these are the majority of the states in the world. The tables are turning. 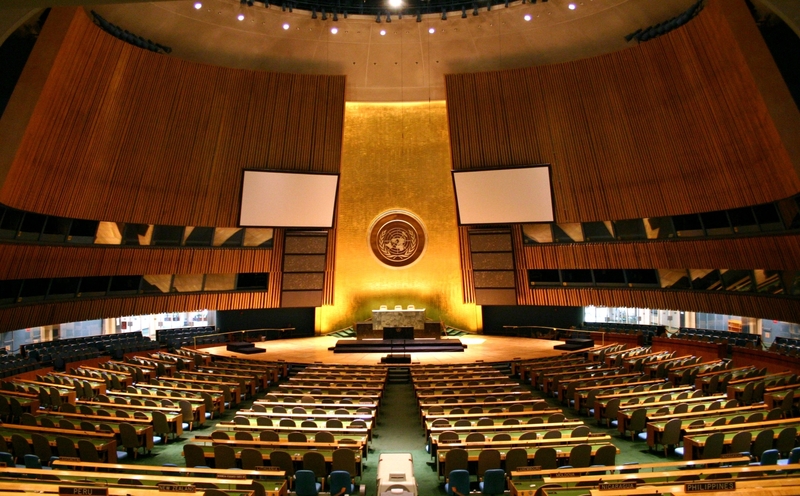 The Ban Treaty proponents have waited more than 70 years; they can wait two more. Once 50 states have ratified, the treaty will enter into force. From then onwards nuclear weapon states will be regarded as pariah states by treaty adherents and their populations, similar to how the international community regards rogue states. The hope of ban advocates is that the treaty’s stigmatizing effect will trigger a new societal and political debate inside the nuclear weapon states (NWS) and their allies. Non-nuclear weapon states (NNWS) may ask the NWS a thousand times to get rid of their nuclear weapons. It will have much stronger effect if the citizens of these countries ask their decision-makers to make this change. And yet the practical effects of the treaty are already visible. Following pressure from the Humanitarian Initiative, the Norwegian pension fund, the biggest in the world, decided to divest from businesses related to nuclear weapons production and maintenance. In December 2017, a large Dutch pension fund followed suit, referring to the Ban Treaty. For these pension funds and banks, nuclear weapons are now being considered as part of the same category of weapon systems perceived as inhumane, immoral, illegitimate and illegal: biological and chemical weapons, landmines and cluster munitions. This is not because their CEOs have suddenly changed their minds, but because their clients demand them to have an ethically guided policy. Roberts does not agree that nuclear weapons are immoral because he believes the myth that nuclear weapons preserve peace. That is his right. Freedom of religion is one of the advantages of a democracy. But claiming that the Catholic Church is “flip-flopping” on this matter, as he does, is simply inaccurate. The Vatican’s policy on nuclear deterrence was indeed wishy-washy in the 1980s. Not anymore. The Holy See nowadays not only declares that any nuclear weapons use is immoral, but also any possession and even any threat of use (i.e. deterrence) as immoral. I would not call that “flip-flopping”; I would call that “clarifying”. This policy does not go back and forward as the term ‘flip-flopping” implies. It clearly moves in one direction: that of delegitimizing, devaluing and stigmatizing nuclear weapons. One of the main criticisms by Pope Francis is the enormous amount of money spent on nuclear weapons and thus not spent on human development. The US alone is planning to spend $1,200 billion on the modernization of its nuclear weapons arsenal over the next three decades. To be clear, this is not only for national security reasons. This money ends up in the pockets of someone. Developing, producing and maintaining nuclear weapons arsenals is big business. Those whose job depends on it are agenda setters in their own right. There are immense interests involved in the nuclear weapons business, as former SAC General Lee Butler testified in the 1990s. Only this phenomenon, that Roberts fails to mention, can explain why Trump wants to re-introduce Sea-Launched Cruise Missiles (SLCMs) while Obama had just abolished them, or why the US invests so much in missile defense systems that do not work. The reason: American jobs, American jobs, and American jobs. Ironically, Roberts criticizes ‘the private resources’ of the NGOs that are behind the Ban Treaty. These resources dwarf in comparison to the vast sums of money invested in the nuclear weapons enterprise. It is perverse that the future of the earth is in peril because a small group of people from 9 out of 190 states hang on these systems because they make a living out of nuclear weapons. As with the case of slavery which was not abolished by slave owners, we should not expect nuclear weapon establishments to further their own demise. It is not by chance that NGOs and NNWS are behind the Ban Treaty. However, in explaining the origins of the treaty, Brad Roberts overestimates the role of NGOs and underestimates the role of states. The International Campaign to Abolish Nuclear Weapons (ICAN) played an indispensable role and therefore fully deserves the Nobel Peace Prize. But the treaty was negotiated and signed by states, not NGOs. The question that Roberts should have answered is why 121 states were eager to negotiate and conclude the Ban Treaty, and why they in all likelihood will also sign and ratify. Two factors explain the NNWS rationale. First, the nuclear non-proliferation and disarmament regime is discriminatory, comprised of a tiny club of “have’s” versus the rest who are denied weapon systems that are perceived to be “essential” for the security of the happy few. Such a regime is not sustainable; something that Roberts apparently fails to understand. Article 6 was a crucial part of the NPT deal in 1970. Keeping close to 15,000 nuclear weapons 50 years after the entry into force of the NPT with plans to modernize the remaining ones (for hundreds of billions of US dollars) makes a mockery of that article and the NPT. 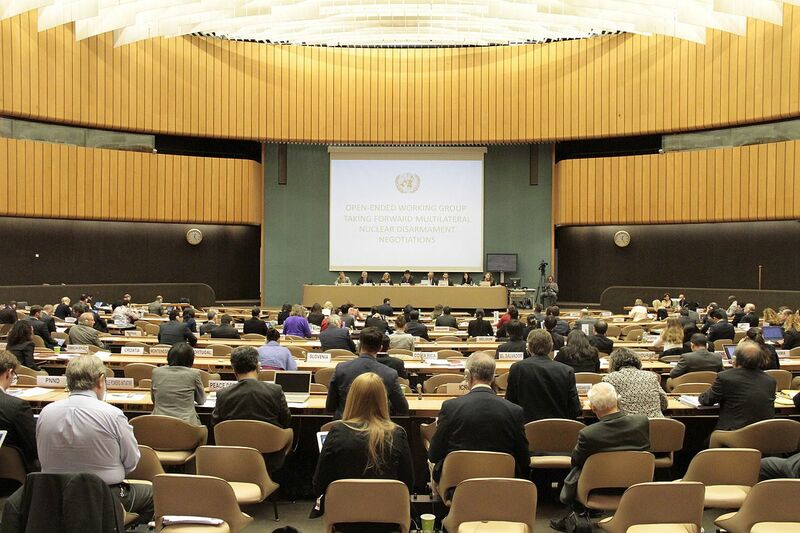 The NNWS have made that point abundantly clear at each of the five-yearly NPT Review Conferences. The NWS’s response to these complaints were hollow promises which elicited further frustration and anger. NNWS rightly ask why they should keep fulfilling their NPT obligations while the NWS don’t. The Ban Treaty is their constructive common response to the NWS’ unwillingness to fully delegitimize and devalue nuclear weapons. The harsh reaction by the NWS to the Ban Treaty further strengthens their view that they are not giving serious thought to getting rid of nuclear weapons. Second, and relatedly, NNWS demand nuclear elimination because of the security-related dangers that go hand-in-hand with the practice of nuclear deterrence. Brad Roberts cannot be any further from the truth when he argues that the Ban Treaty is a protest vote for those with nothing to lose. Does he really believe that the consequences of nuclear weapons use will be restricted only to the territories of the NWS and their allies? If Roberts had attended only one of the three Humanitarian Initiative conferences, he would not have said so. Instead of criticizing the Ban Treaty and its advocates, Roberts should work to devise concrete ideas to curb US nuclear weapons and move in the direction of elimination. As one of the main architects of more than one US Nuclear Posture Review, he had plenty of opportunities to do so. If he and his colleagues fail to do more before the next NPT Review Conference in 2020, it is not the Ban Treaty but the NPT that will be in limbo. It is not difficult to predict that countries like Egypt, Brazil, South Africa and others will find it in their national interest to leave a treaty whose obligations are only fulfilled by one category of the parties. This may on its turn lead to more “have’s” and less “have nots”, at least until enough people and states in the world believe that there should be an end to the nuclear madness, and that all states should start negotiating a multilateral Nuclear Weapons Convention with detailed verification mechanisms. The Ban Treaty is not perfect. But it is a very good instrument to start this process. The ELN will continue to publish texts presenting diverse viewpoints on nuclear disarmament with the aim of stimulating debate and identifying the best ways to make progress. Previous PostBAE Systems – Radway Green Light Munitions Centre of Excellence By Howard Wheeldon, FRAeS, Wheeldon Strategic Advisory Ltd.Next PostLeonardo Edinburgh – Great Product, Great Company By Howard Wheeldon, FRAeS, Wheeldon Strategic Advisory Ltd.